At Crowlees, we aim to offer children as many opportunities as possible for extra-curricular sport and physical activity throughout the year. Our clubs are run by teachers, who volunteer their time, and through our links with the Pennine Sports Partnership. 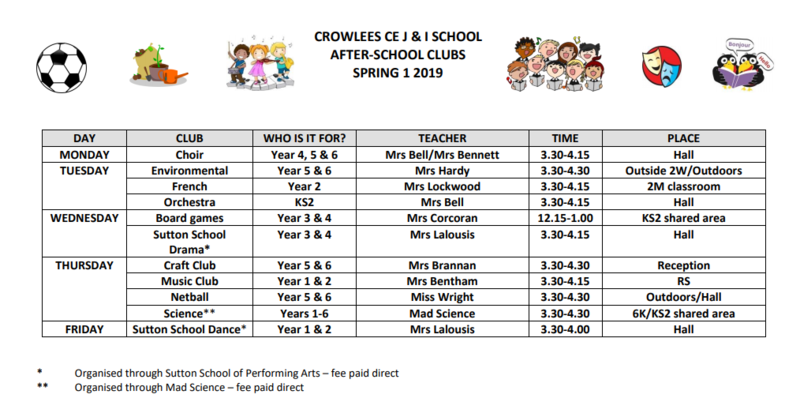 Children will be invited to attend clubs at the end of a half term ready for the following term. The list below shows which clubs are taking place this half term and who is eligible to attend.